I get a strange behavior by Google Chrome 33 (Ubuntu). I have a div element, which gets resized and repositioned on hover. Underlying there is a <select> element. 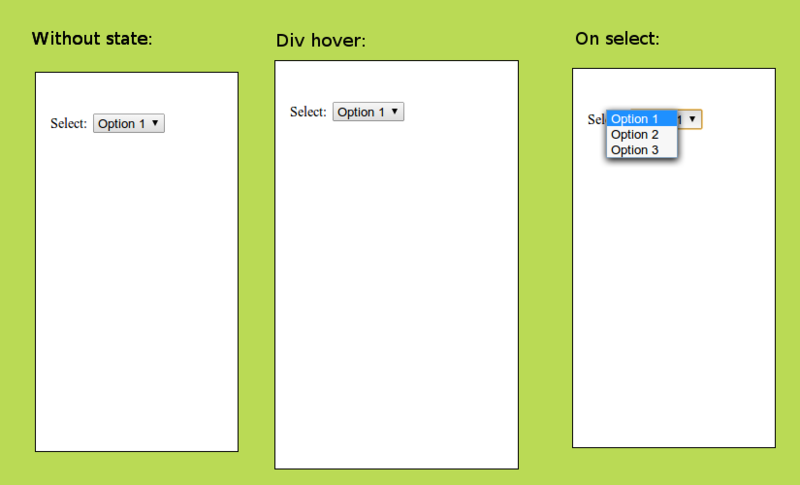 When I try to select an option the :hover state of the parent div is lost. I can't reproduce this in Firefox or Opera. Not the answer you're looking for? Browse other questions tagged css google-chrome select hover or ask your own question.